This was the fourth and final stove this client has asked The Billington Partnership to install in their home. The client designated a position within the kitchen for the stove. However, on commencing the installation we discovered that the flue path was blocked by an RSJ. 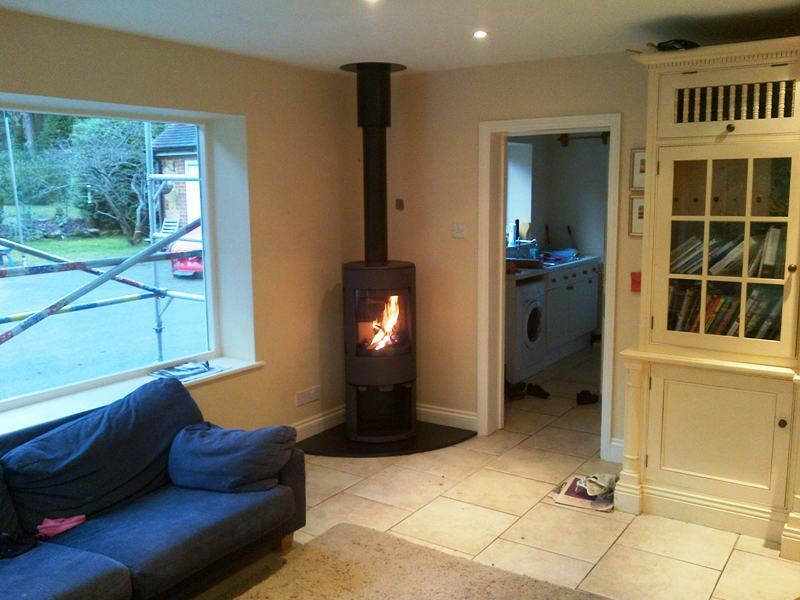 Whilst we could have directed the flue around the RSJ, we felt that this would seriously compromise the look of the stove. 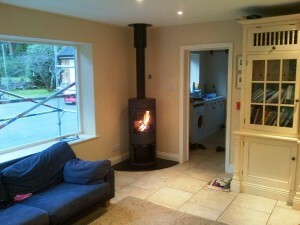 Therefore we installed the Dovre Astroline 4CB stove in the corner of the kitchen. In fact, on reflection it was a better position for the stove. 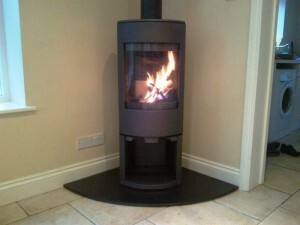 The client has been very happy with all four stoves and they looked after us extremely well throughout the work. 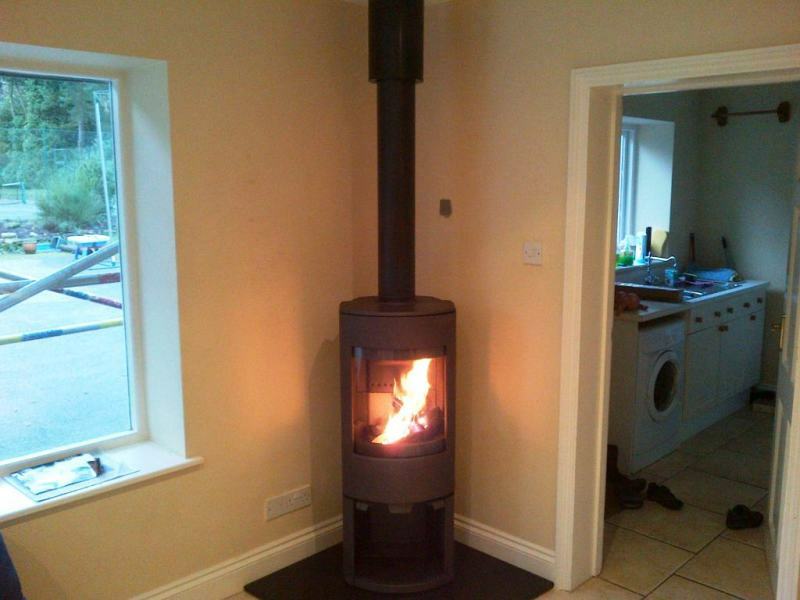 Finally, if you are thinking of installing a stove in your home, contact The Billington Partnership for advice on which stove to choose.